Geoff Barsby from the Nostalgia Magazine "Years Gone By"
The same view as the photo above. 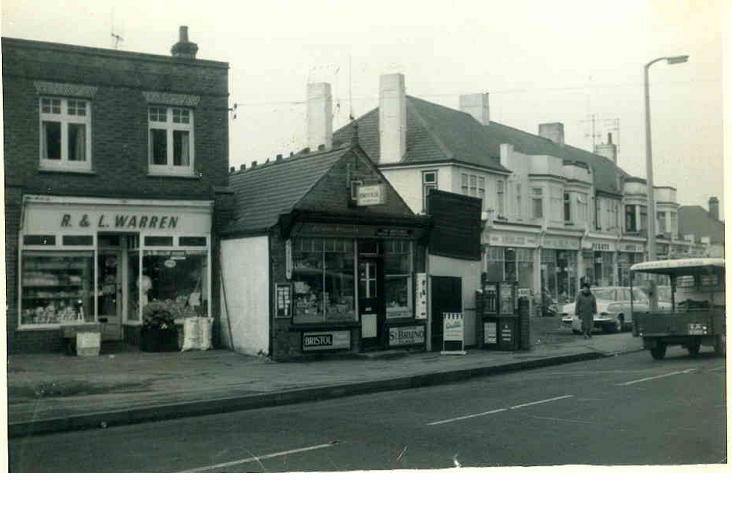 Early 1970s just prior to the roundabout being installed. 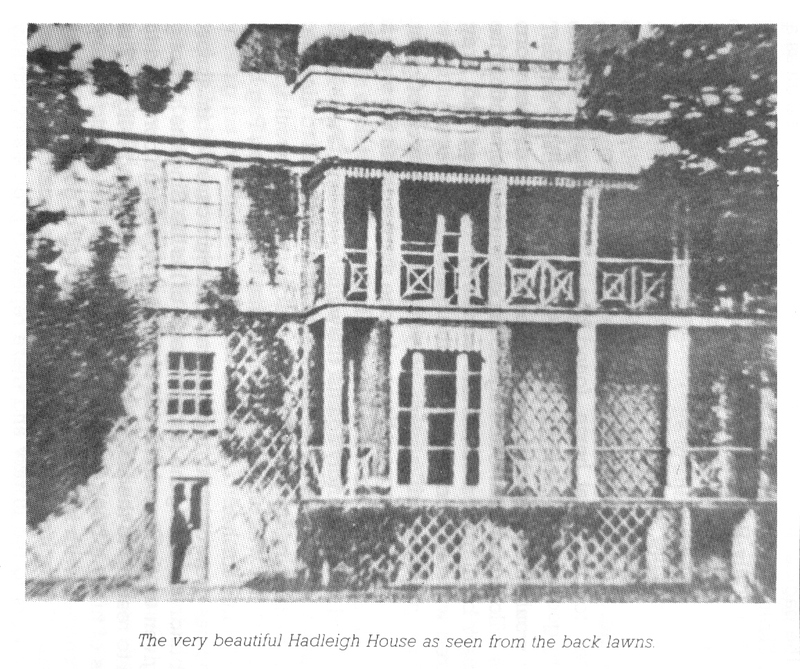 Today, just a Corner, a simple Crescent and a Road, the latter two borrowing the family name of Nicholson still exist to remind us that Hadleigh House was ever a reality. Though in its time this wonderful piece of architecture commanded more than just a fleeting glance. Once standing in its own grounds of 18 acres the mansion provided its inhabitants with an unobstructed view of the entire Hadleigh Common and beyond, which at around 1800 was thought to cover around 47 acres. Here, the commoners would turn out their smaller animals, goats and the like, to munch freely upon the grassy hillocks and rough pasture dotted amongst the heavy gorse and hawthorn bushes of the day. 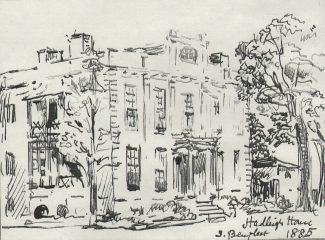 The house, originally commissioned by Mrs. Dunlop of Jarvis Hall around the year 1807, was at construction firmly placed within the boundaries of South Benfleet. 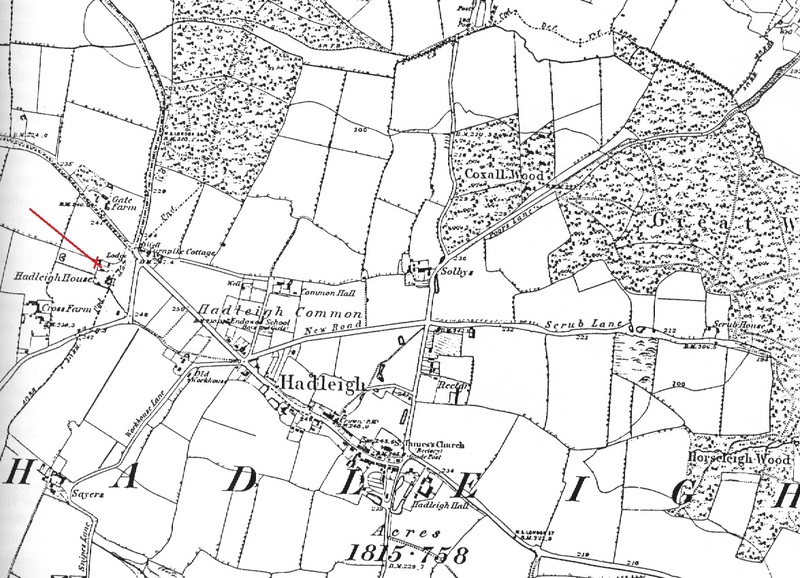 However, during the time Thomas Brewitt was in occupation, 1840-46, the decision was made by the Hadleigh Parish Officers to alter the boundary of their parish. This now placed the house in two separate parishes, the newly acquired large front porch in one and the remainder of the house in t’other. 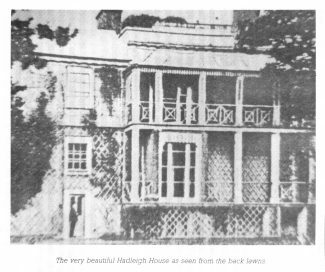 There seems to have been no objections raised at the time, possibly because the matter was considered too trivial a point, but thereafter, Thomas Brewitt and all following him into the mansion, paid to both South Benfleet and Hadleigh. 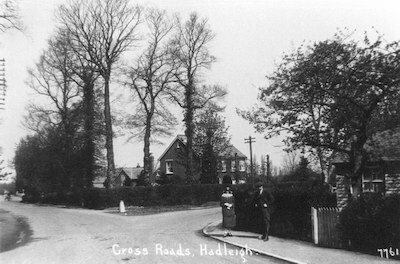 Hadleigh House was indeed a most prominent landmark, standing at Four Wont Way (later Victoria House Crossroads), its majestic splendour shrouded by trees from both the Benfleet and London roads. 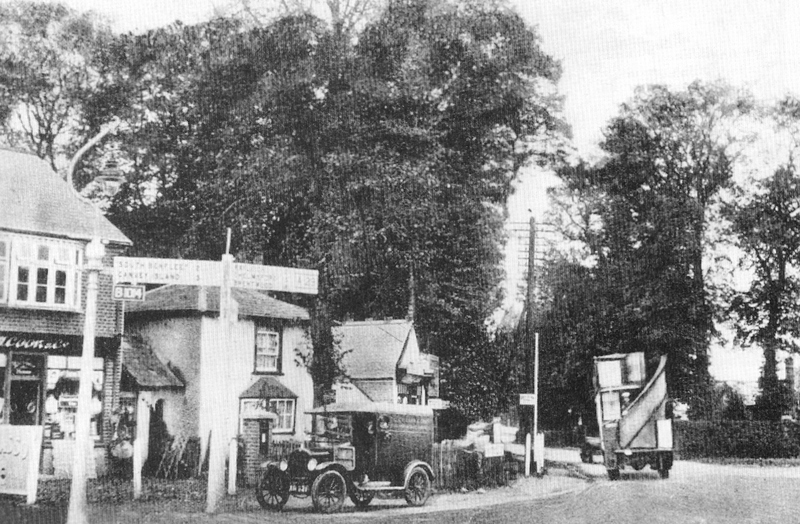 At the main entrance stood a two-roomed porter’s lodge and leading from it a long and spacious drive with green. The house itself was blessed with a romantically curving staircase sweeping down into a magnificent sized hall. Considerable accommodation was given over for the servants’ quarters, and in the basement, there was a brewhouse. Outside, the grounds housed paddocks, grand lawns and pleasure gardens. Too, there were, kitchen gardens, no doubt supplying the household cook with all the manner of herbs to delicately flavour and aromatise the succulent meats and dishes produced in her much prized scullery chambers. A pathway ran midway through a large plot of lawn and led towards an arch. Possibly it was the entrance to some sort of summerhouse or pavilion, and one can just imagine the gentle laughter there of days past. It was clearly a house that served well, for in it resided many eminent people in its time. Mrs Martha Lovibond, daughter of the Chief Justice of Bengal, Sir Elijah Impey, for one. It was at her encouragement the first Sunday School was founded to educate the poor children of the parish. In 1820 Martha donated a sum of £750 to the parish stipulating that the profits from it be used to clothe and educate these poor souls, making it a rule that their parents be members of the Church of England. During the 1840s the mansion was used as a Diocesan Commercial School with connections to the Essex Board of Education. 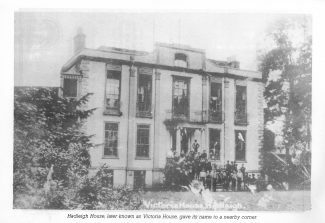 This fee paying establishment whose master was Robert Thompson Ambler, ran only for a short time, for in 1864 the house was sold to a former Australian state governor, Sir Charles Nicholson. Sir Charles had been appointed the village school’s governor after making his presence felt in local affairs. Much later, 1919, Sir Charles (please refer to note at the bottom of this page*) was to have produced the design for the War Memorial cross now standing adjacent to The Anchor Inn at South Benfleet. 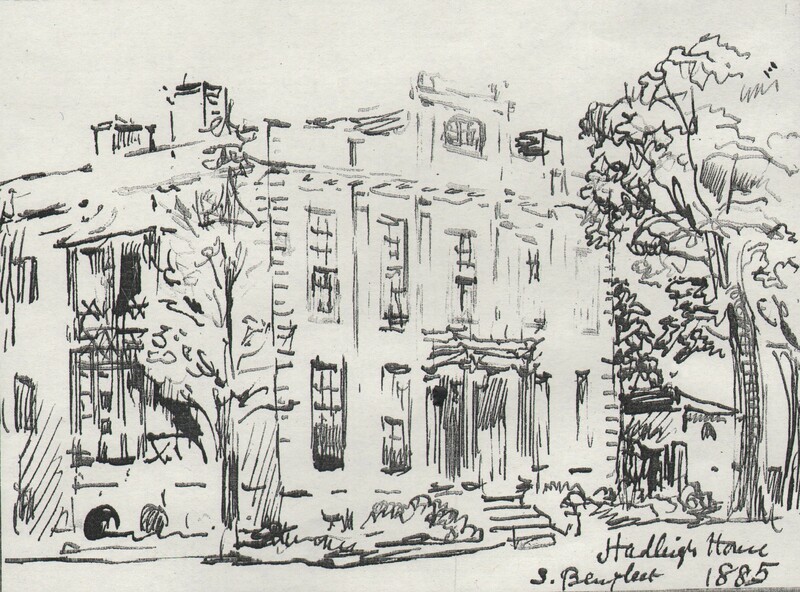 While living at Hadleigh House, two of his children were born there, one, Charles, going on to become an architect and the other, a daughter Barbara, inheriting artistic talents from her mother, becoming an illustrator of books. 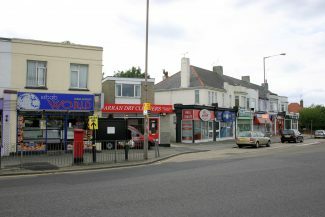 A succession of wealthy residents followed, Henry Dillon and Captain James Trotter amongst them, up until 1901 when the Salvation Army purchased the property. 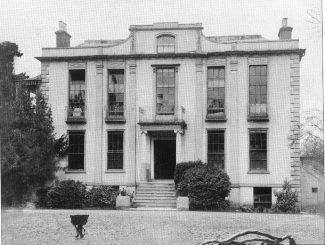 It became a home where previously hopeless inebriates could have fresh opportunity to rehabilitate under William Booth’s “Darkest England” scheme. 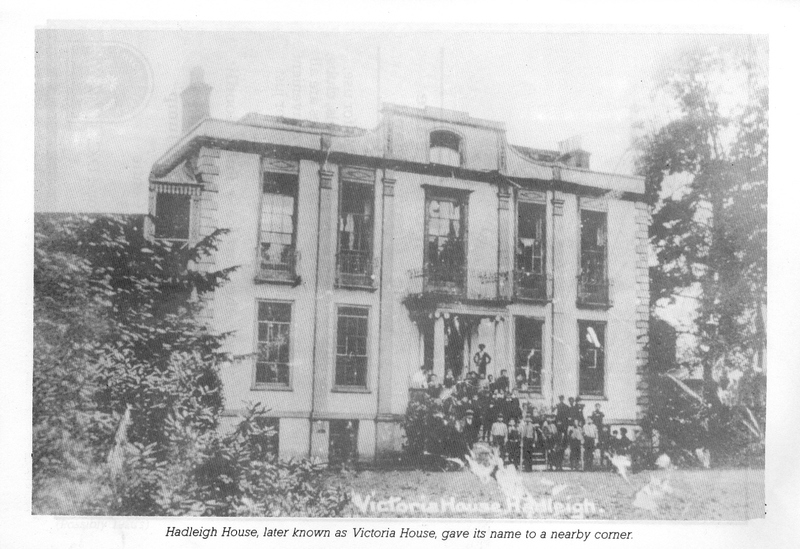 The name of Hadleigh House was changed at this time to that of Victoria House, hence it lent its name to the nearby Victoria House Corner. 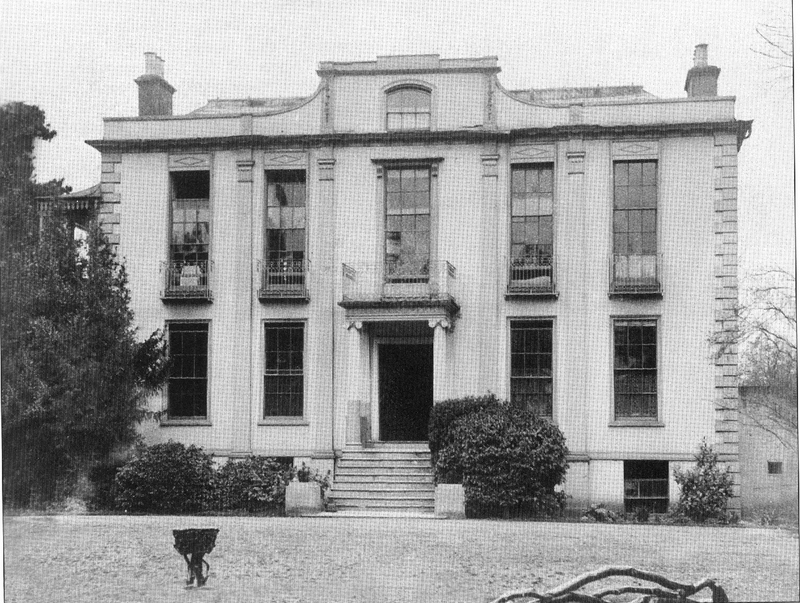 With the coming of the 1914-18 War the mansion was closed down and eventually removed altogether during the 1950s, when housing development took over. A preservation order today would probably have saved it and some good use made of the building, perhaps a library or senior citizens rest home, alas, in the name of progress another monument of our past was reduced to a simple pile of rubble. This article originally appeared in the nostalgia magazine, ‘Years Gone By’, whose Editor and Publisher was Geoff Barsby. The archive would like to thank Geoff for allowing us to reproduce this page on our site. * It has been pointed out to us by David Hurrell (see comment below) that some of the information in this article is incorrect. Following further research we can confirm that David is indeed right in pointing out that Sir Charles Nicholson (1st Baronet) died in 1903 and it was his son, Sir Charles Archibald Nicholson (2nd Baronet), who was responsible for the design of the War Memorial. As suggested by David, Barbara Nicholson was the granddaughter of the 1st Baronet and the daughter of the 2nd Baronet, Sir Charles Archibald Nicholson. Further checking on this article is ongoing. Sir Charles Nicholson died on 8 November 1903, aged 94. It must have been his son, Sir Charles Archibald N (b.1867) who designed South Benfleet’s War Memorial. And Barbara Nicholson cannot be a daughter of the 1st Baronet (he had three sons) – a granddaughter, perhaps? Might someone sort this out? This is one extraordinary family that deserves to be better known in Castle Point. Thank you David, we will look into this. 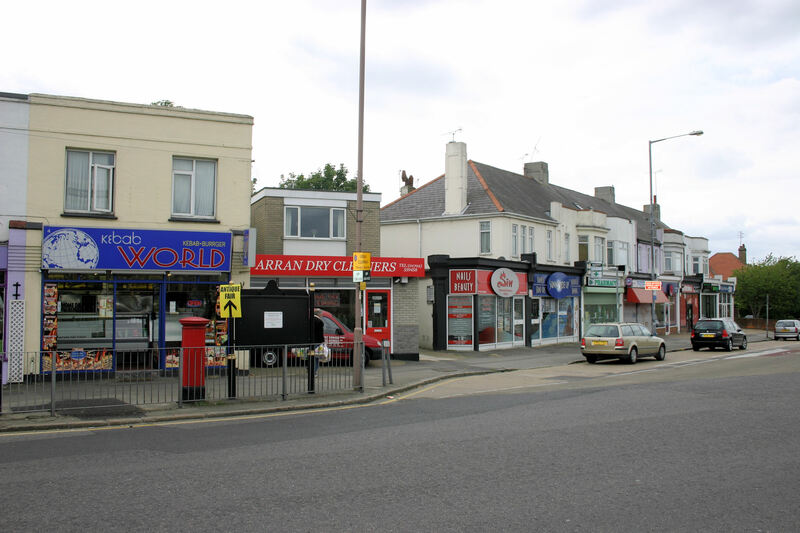 Wantz is a corruption of Wents, an old common name for four way junctions in Essex and Kent. Because of the poor state of the roads Benfleet needed lots of stones. 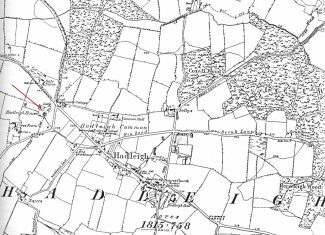 High ground like Hadleigh Common and Lady Dunlop’s fields around Jarvis Hall gave employment to a number of people, paupers, old people and children gathering stones, piling and screening. Shovels, picks and sieves were provided by the parish. In 1799 Lady Dunlop supplied ‘100 loads of stone at 2s. 6d. a load and 18 loads of the best at 5s. a load’. An interesting and useful article. Does anyone know 1. why this article makes the house c.1807 whereas the two Phillimore books on Hadleigh make it c.1800? 2. who Mrs Dunlop of Jarvis Hall is?